The vote for the hottest and most loved beauty trend to have stood the test of time (we are talking centuries, gorgeous reader!) has to go to the sensual, bold defining of the eyes with Kajal/Kohl/Eyeliners.There’s something so feminine about swiping your eye contour with a deep,plush black that brings out the inner ‘black magic woman’ and makes you want to learn a few voodoo tricks! Our grand moms and their moms were concocting this magic powder at home , with diyas & ghee, and the process is probably still followed in many homes. So how do we marry the age-old tradition of purity with modern chic? 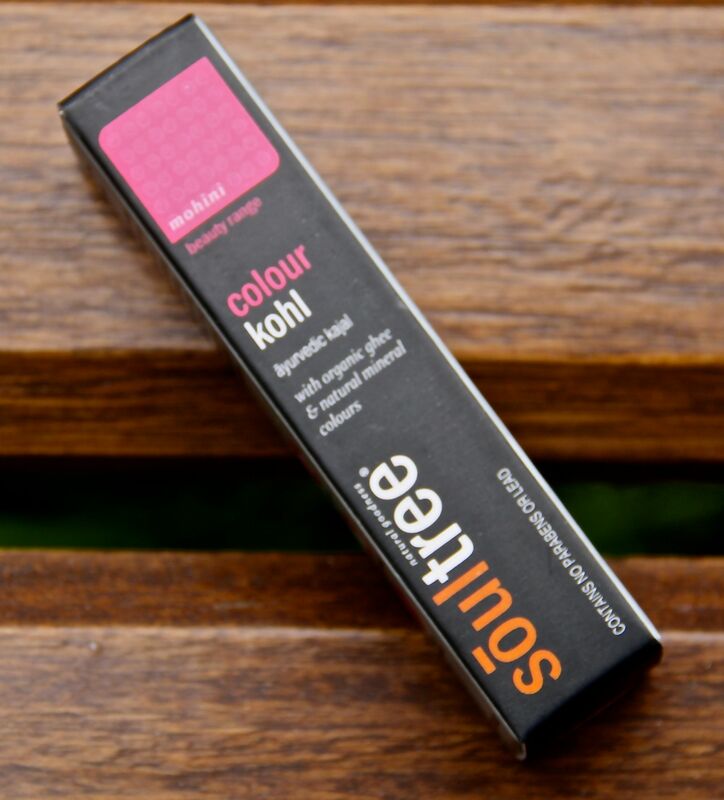 Here’s a lovely discovery I made while hunting for a natural ( chemical free) , convenient, stylish – to -boot option to my regular big brand Kohl pencil. The product packaging is pretty and the outer pack lists all the natural ingredients and the certifications. 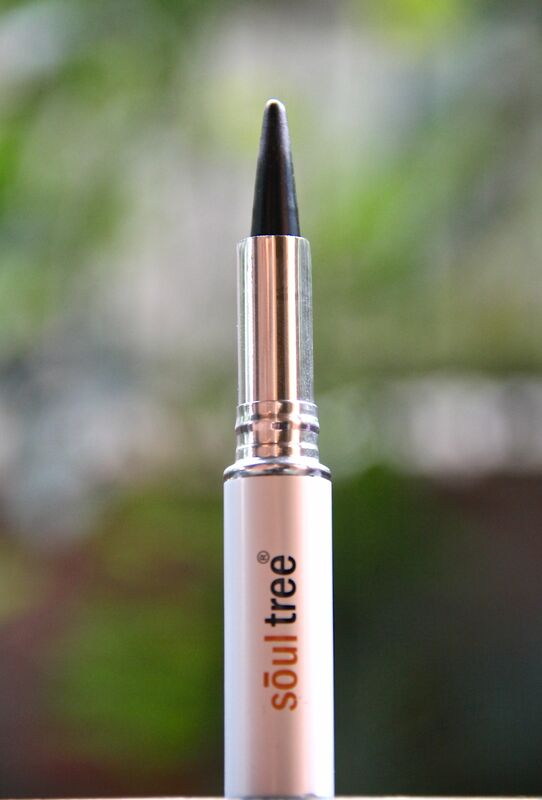 The cylindrical , steel finish container is slick , carry-any-where and the kajal comes out on twisting (like a lipstick). 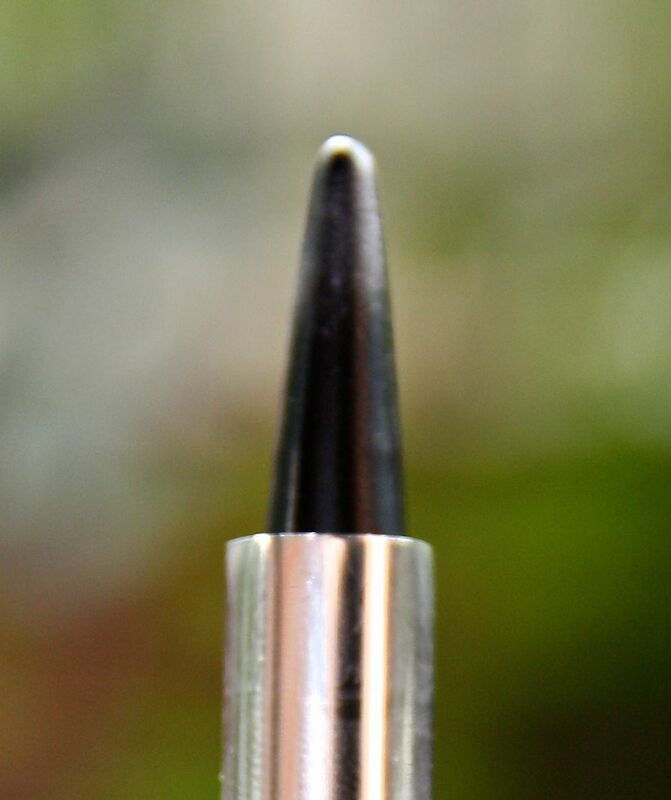 The tip is nicely shaped and smoothly pointed , giving a sharply defined line on application. 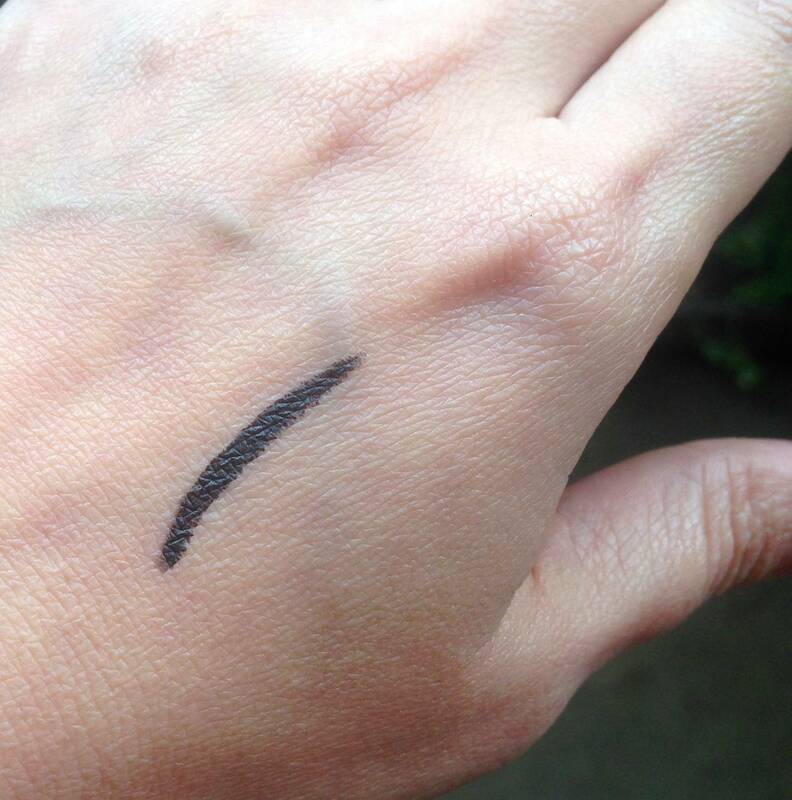 Also, it glided on smoothly ( one of the smoothest I know of) leaving a deeply pigmented black line. So, great pigment and consistency and doesn’t pull at your gentle eyelid skin. Staying power – Well, you may need to reapply once more during the day (assuming a 9.00am – 5.00 pm timeline), which is worth it for all the goodness it offers. 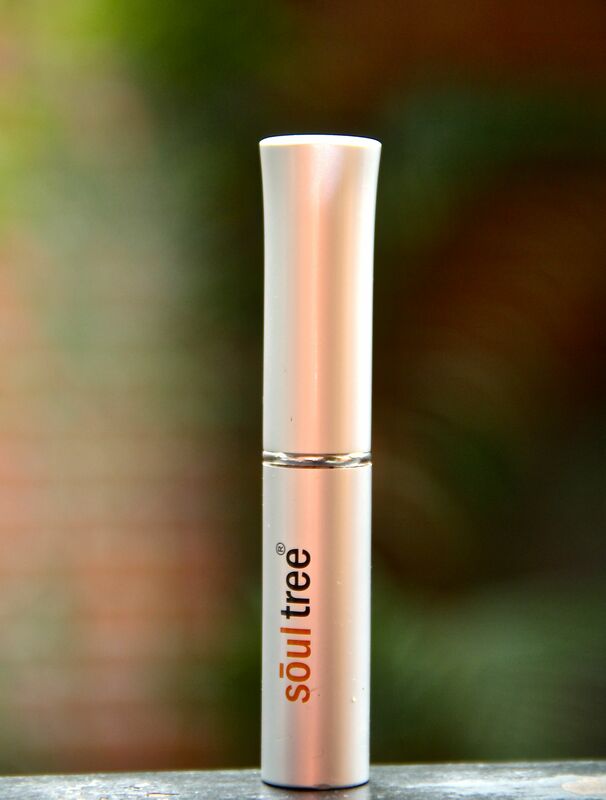 The Soul Tree Organic Natural Kajal is also available in shades of green, blue & brown. I bought another shade called ‘Mood Indigo’ (blue), but unfortunately I wasn’t happy with the pigmentation, it was a tad too light, even after a few applications. But, this black kajal is perfect! It’s available for Rs.295 a-piece online. Do let me know through a comment below if you found the review helpful and of your experience with the product if you happen/ed to use it. I would love to hear from you! Meanwhile, stay naturally lush! Next PostNutty-Luscious Skin Cleanse + Nourish! Hi Jessica, suggest you connect with the folks at http://www.soultree.in/contact/, thanks for stopping by! Is there a Canadian site ? Is it smudge free? I mean , does it make one look like a ghost after a specific duration post application? I hope you must be understanding what I intent to ask. Hey Aleya, I understand your requirement and my experience was that it doesn’t smudge easily though can be slightly weather dependent. So if you are out for long in humid, muggy or hot weather, like any natural kajal, it may smudge a bit .